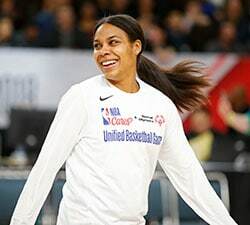 NEW YORK, May 16, 2016 – As part of the WNBA’s historic 20th season, WNBA.com will offer advanced statistics and every box score in league history. Starting with the 2016 season, WNBA.com will produce advanced box scores for all games. Advanced box scores include such categories as player impact estimate (PIE), effective field goal percentage (eFG%), true shooting percentage (TS%), defensive rating (DefRtg) usage percentage (USG%), assist to turnover ratio (AST/TO) and others. The box scores will be available on WNBA.com shortly after each game. 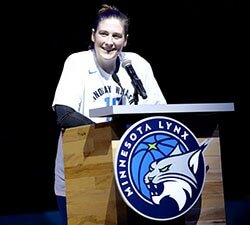 The league will make available the traditional box score (points, rebounds, assists) for every game in WNBA history. All games since 2007 are now available on WNBA.com, with games from 1997-2006 to be added in the coming weeks. In addition to the enhanced box score offering, WNBA.com now provides sortable statistics for teams and players. Traditional numbers (points, rebounds, assists) date back to the 2007 season, while advanced numbers (PIE, eFG%, DefRtg) date back to 2014. All data is available via mobile. 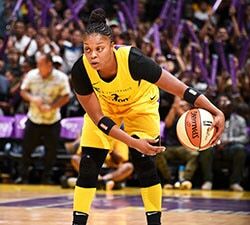 To commemorate the league’s 20th season, WNBA.com/WNBA20 is a curated video vault of the best highlights, features and moments that will be unveiled throughout the year.